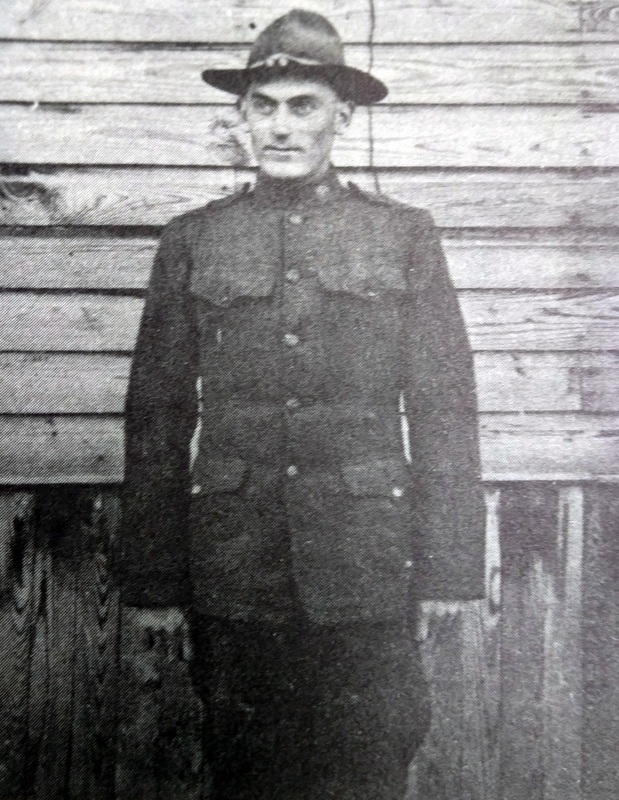 Photograph of Roy M. Clem from the book "Service Record World War I and II, Woodstock and Vicinity." A Woodstock native. Entered the US Army on May 24 1918. Assigned to the Headquarters Medical Detachment, 155th Training Center where he helped care for the many soldiers suffering from diseases and injuries at Camp Lee Virginia. Discharged May 31, 1919 at the rank of Private. Awarded the Victory Medal.